He follow all the monsters to the hotel. He follow the Muzik coming form the hotel. 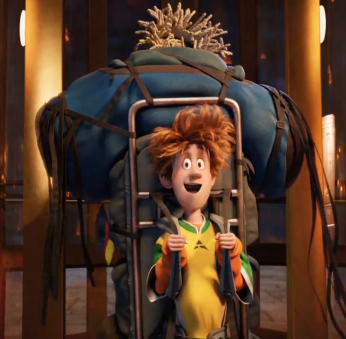 He saw Mavis flying in the hotel. He follow the burning zombies.